Showing 1 - 2 of 2 Products for Suspension Traction Bar. WARNING CA Proposition 65 Message: California Warning: Cancer And Reproductive Harm - Www.p65warnings.ca.gov. A family owned business for over 65 years, Hellwig Products specializes in 100% American Made, Precision engineered products. 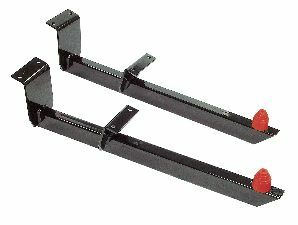 Lakewood has traction bars that are designed specifically for Ford & Chevy 2 wheel drive 1/2 ton trucks. These bars fit 1973-1987 Chevy & GMC and the 1986-2004 Ford F-150 trucks. These are bolt on bars that will stabilize the rear end. Works great for off-roading and on the streets, especially during wet weather. They assist to reduce spring wrap up, tire spin and wheel hop. This pair of traction bars are black powdercoated with yellow polyurethane snubbers. The powder coating gives a good looking finish while also reducing corrosion.